For the photographers out there, whether you are a professional or enthusiast, when was the last time you printed out your photographs that you took instead of storing it in your laptop/desktop or hard disk? Before I started printing my photographs again recently, I asked myself this question too. Prior to preparing and writing my review article for the Canon PIXMA Pro-10, I wrote and shared on my thoughts and feelings on why we should go back to printing photographs. Printing my photographs brought back something to my photography that was kind of lost in time, since my younger days with a film camera. After printing 4R photographs in preparation for my draft Hokkaido Black and White Landscapes Photo Book, I decided to take one step further in my photography printing revival by learning to prepare my printing for my own personal photography exhibition in the near future. The Canon PIXMA Pro series printers came into the picture and I decided to choose the Canon PIXMA Pro-10 printer for review since I am focusing on my black and white Hokkaido landscape photographs for my own personal photography exhibition some time down the road. I heard about the Canon PIXMA Pro-10 printer and its capabilities, however, with the mindset and trends of modern digital photography, we were busier sharing photographs instantly and then storing the rest in our laptops/desktops/storage systems. Printing was indeed lost and most recently, some photographers are starting to share their views and concerns on printing photographs or else we lose them to the digital Dark Age. Let me first share with you, my readers, on the Canon PIXMA Pro-10 printer. 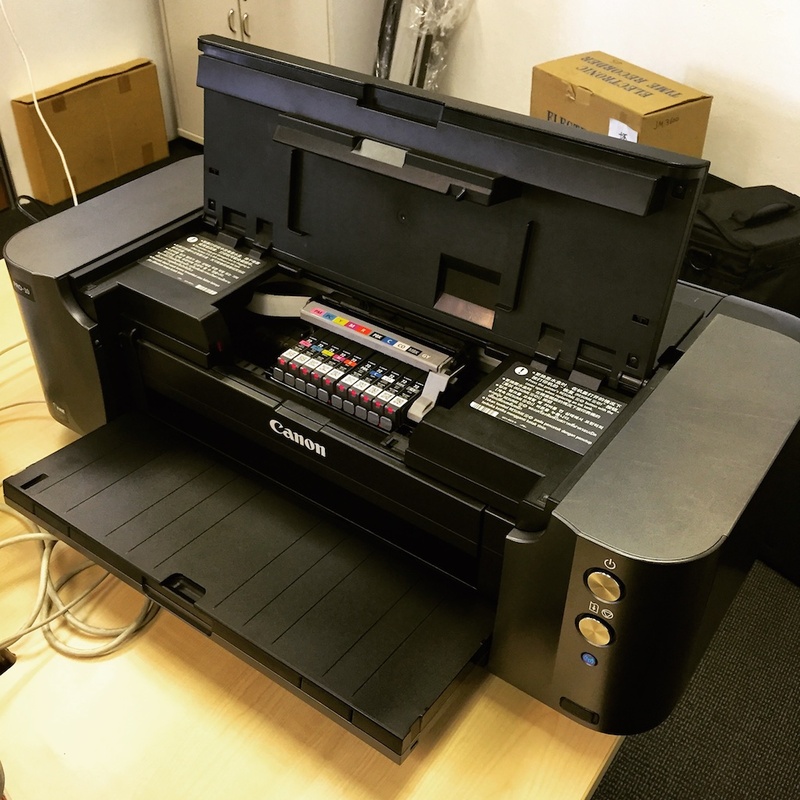 The Canon PIXMA Pro-10 printer is a high speed and high performance printer that is able to produce professional quality A3 prints in the comfort of your home. It contains improved technologies such as the Chroma Optimiser and Lucia ink, packed inside the PIXMA Pro-10 to produce professional quality prints. The PIXMA Pro-10 uses a 10-ink pigment based system to achieve smooth tonal gradations and colours that meet the needs, demands and standards of a professional photographer. For black and white photography lovers, the PIXMA Pro-10 will definitely be suitable for your needs (in my personal humble opinion). There are three different monochromatic inks – Photo Black, Matte Black and Gray, combine it with the Chroma Optimiser, this not only improve the tonal gradations in monochromatic prints, it also increases the accuracy of the colour reproductions for darker colours. With this system of the Chroma Optimiser and three different monochromatic inks, the blacks are denser, reduced bronzing, enhancing glossing, thus producing sharp and high quality prints. The PIXMA Pro-10 also use Canon’s FINE (Full-photolithography Inkjet Nozzle Engineering) technology, which results in finely-detailed printouts with resolutions of up to 4800 x 2400 dpi at minimum ink droplet sizes of 4 and 3 picolitres respectively. The Optimum Image Generating (OIG) system mixes different coloured inks to an optimum level. The OIG system works by analysing the intended colour, and determines the optimal combination of colors by balancing factors such as tonal gradations, black density, graininess, and glossiness. The PRO Mode included in the PIXMA PRO-10 improves accuracy from screen to print. This provides ideal screen parameters to adjust the color gamut of monitors to match the exact color range of the printers. PRO Mode is ideal for users less familiar with ICC Profile Perception. The Print Studio Pro software is a plugin that optimizes fast and efficient printing on the PIXMA Pro-10 printer, eliminating complicated processes, resulting in fast and easy workflow (Information: Canon Media Press Release). I would like to give the Photo Paper Pro Luster a special mention. This paper is a semi-gloss paper that holds colours consistently under display lighting. This makes the Pro Luster paper ideal for studio exhibitions and special events. I love my prints produced by the Photo Paper Pro Luster using the Canon PIXMA Pro-10 printer! The Canon PIXMA Pro-10 printer produces excellent quality prints, vibrant, sharp and accurate in colours. The Pro Luster prints dry pretty fast too! With regards to costing, the price of a Canon PIXMA Pro-10 cartridge is $21.90 (from Canon website) total cost would be $219 for all 10 cartridges inside the PIXMA Pro-10 (prices correct at time of writing this article). Prices of various photo paper types and sizes can also be found on Canon website. During my printing journey with the PIXMA Pro-10, I had a fun yet challenging time with this wonderful printer. There is no issue on the print quality, the sharpness and colours! 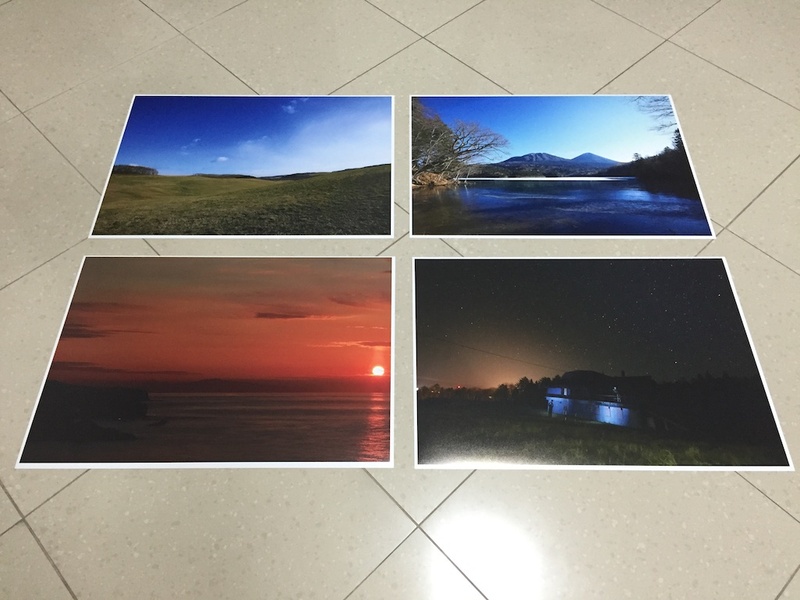 It’s about selecting which photo paper to be suitable for your photographs. I shared with my fellow photography friends on this finding and it probably takes time to learn and know more about the different types of photo paper available and which photo paper would suit your style of photography works. The Canon PIXMA Pro-10 printer is suitable for photographers to print from the comfort of their home, from the small 4R prints to A3 prints, you would be able to print your own photographs on demand and also for your own photography exhibition at home or in places such as a studio or gallery! I personally feel that it is a worthy investment for professional photographers and serious enthusiast/semi-professional photographers to have the Canon PIXMA Pro-10 printer with them in their home or office. I would like to thank Canon Singapore and Ogilvy Public Relations for the opportunity and arrangement to review the Canon PIXMA Pro-10 printer.